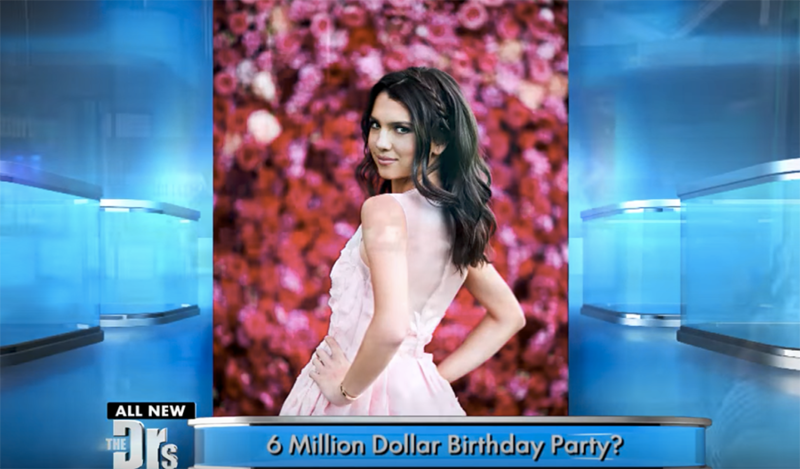 The Doctors discuss a recent “sweet 16” party that racked up a whopping $6 million bill. With 600 over guests attending the party, they hired famous DJs and celebrity chefs to spice up the party. They call her the luckiest birthday girl in America! About “The Doctors”: The Doctors is an Emmy award-winning daytime talk show hosted by ER physician Dr. Travis Stork, plastic surgeon Dr. Andrew Ordon, OB-GYN Dr. Jennifer Ashton, urologist Dr. Jennifer Berman and family medicine physician and sexologist Dr. Rachael Ross.